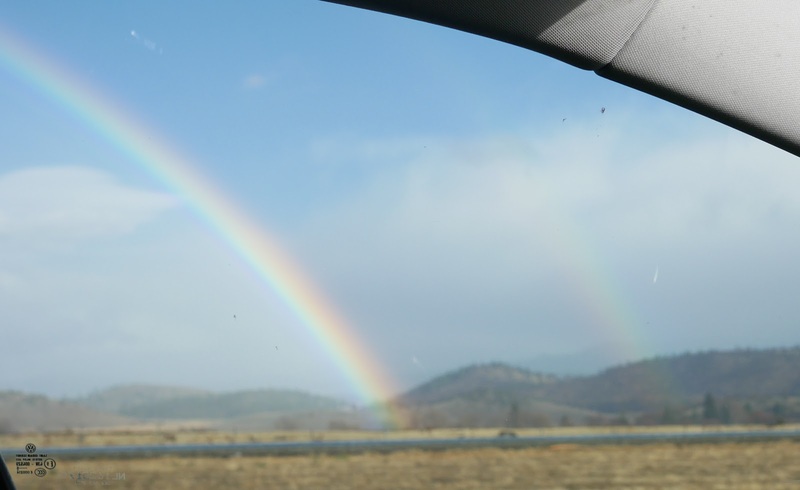 on our drive down from Oregon, there was a double rainbow, off in the hills to the left of the car. it's difficult to get a photo of a double rainbow from the passenger's side, but I did my best. which is all we can ever do, really. 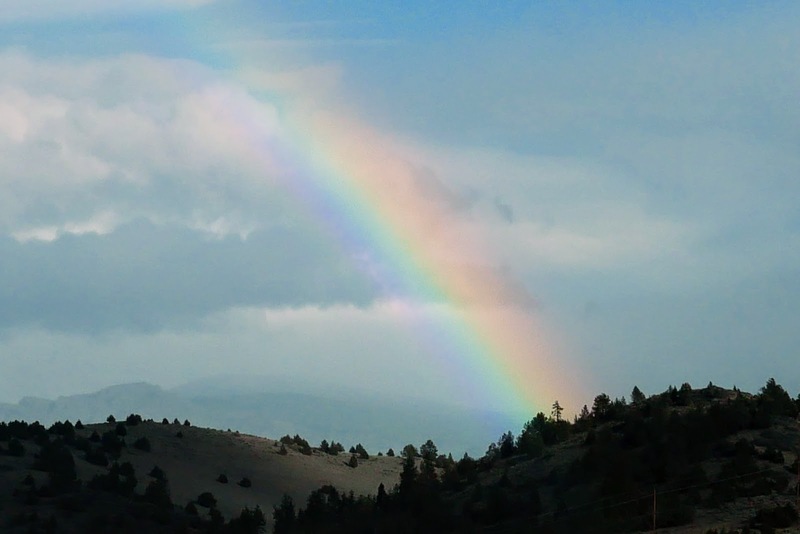 sometimes it takes a natural phenomenon to remind us of that simple fact.